Comixology has a 60% off sale on Valiant collections that ends on the 26th of October. 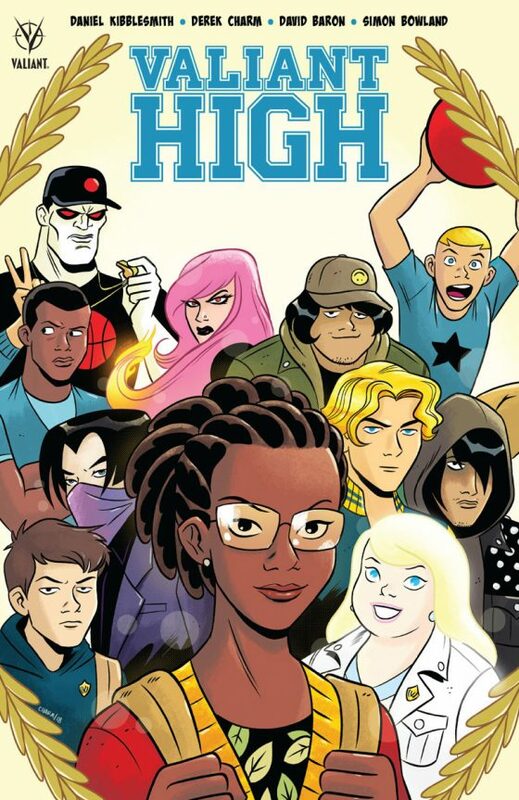 In this sale, the Valiant High digital collection is £1.99. That’s 50p an issue. That’s bargain back issue bin prices for one of the best superhero books going. I’ve reviewed Valiant High in short bursts; I gave it props as a whole in my Valiant primer, and its single issues were covered in a couple of PUBWATCH columns since. Valiant High was originally a digital-only Comixology book, but it was cute enough that it got popular enough that it was released in monthly paper format this year. The print collection is available currently, but the digital collection is well worth the grab if you’re on a tight budget. It’s absolutely darling. It’s a High School AU with that nice, shiny “published by the company that owns the licenses” dazzle, and without even sacrificing the queered elements that are a common benefit of fan fiction. The thrust of the story is this: Amanda McKee, Livewire, is the sad-sack protagonist of your average “gotta survive high school” narrative. Livewire has long been at the centre of things in Valiant proper, as a supporting cast member, a team member, a character there to respond, but she’s been allowed to come more into her own recently and is debuting an ongoing solo title in December. (It looks really good.) 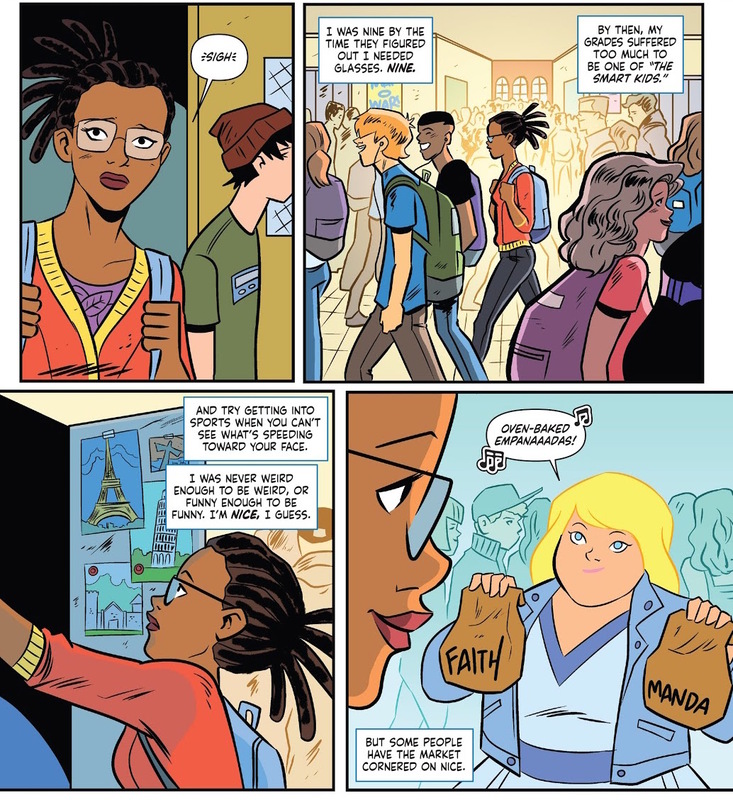 Valiant High draws out the insecurity and shyness that are a compelling but low-key aspect of Livewire’s regular character and uses it as the keystone of these four issues that all lead up to the Homecoming dance. How Amanda feels about her friends, and how she manages her feelings about boys and attraction, and how she approaches community events, are all evoked in response to her lack of identity confidence; each of those things opens out into a beautiful flower of melodramatic confrontation. 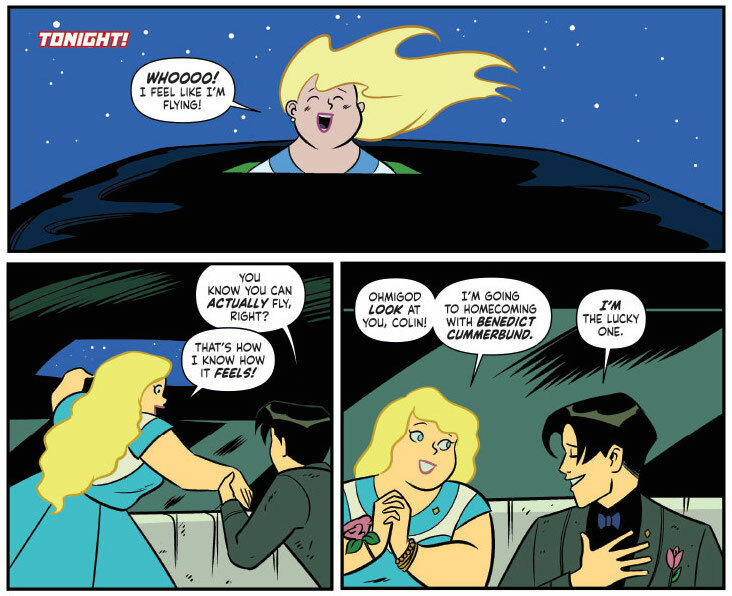 It’s very classic teen movie stuff, and Kibblesmith leans into this. Touchingly, it’s by having his version of Colin King (Ninja-K) namedrop She’s All That and getting hype at the thought of a makeover; fun is not corralled by gender in this book, and that makes it extremely accessible. She’s All That is kind of an old movie (yes, I know, I’m decaying too), but that’s not an indication of an atrophied approach. Colin and Faith first bond over manga rather than like… Tamagotchi. God, it’s PRECIOUS. Kibblesmith’s success comes from taking his premise, and every premise within that premise, so seriously. 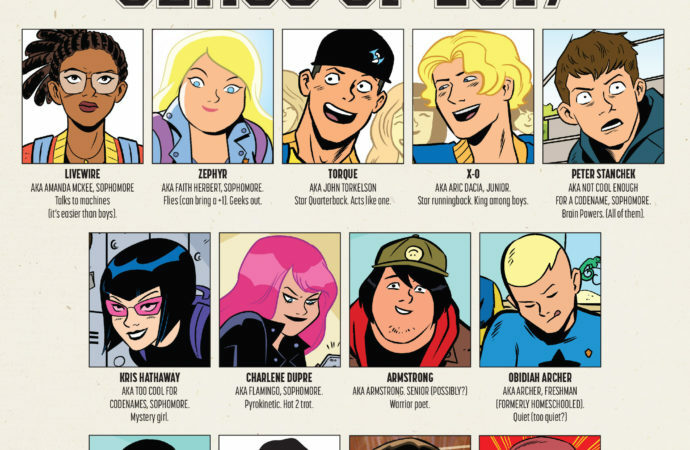 Sweep everything off the table and think from scratch: what would a high school with an acknowledged super-powered student body be like? Maybe it would have rules about power use. Maybe the navigation of those rules would have keen relevancy to the everyday life of its students. Why is Colin King, a British man, a ninja? Maybe some kids are from more than one country, more than one culture. What would it be like to be immortal and spend forever as a teenager? Maybe that would depend upon the personality of the kid in question. The joy of reading this book is in the recognition of how everything has been thought about. It actually feels like it was made with care, so it’s impossible to feel anything but pleasure. Derek Charm and David Baron are a perfect combo, Baron holding some of Charm’s inked lines back for colour to emphasise, mostly, lightness of hair. Aric (X-O Manowar), Charlene (Flamingo, a member of the Harbingers), and Faith (Zephyr, but mostly known as Faith) are all characters who are supposed to be dreamboat delights, and the extra oomph that keeping a heavy black line out of their hairstyle gives their presence is subtle and fantastic. Charm’s lines are simple, but his character designs and efficacy with expression are so finely tuned that simplicity is comparable to the presentation of nouvelle cuisine. I already mentioned lettered Simon Bowland’s contribution, back in August’s PUBWATCH. You know that I am always pleased to see Ninja-K being a boyfriend! Plus: great lettering choices in panel two. Toyo Harada, the current Valiant Universe’s original biggest villain, is the principal at this pan-title school. That puts Valiant High just slightly out of date, as the regular version of Harada is dead. But the aftermath of Harada still informs the mindsets and alliances of the current heroes, and there’s a lot of basic interactions and alliances that can be gleaned from how they’re readers-digested into their high school forms. 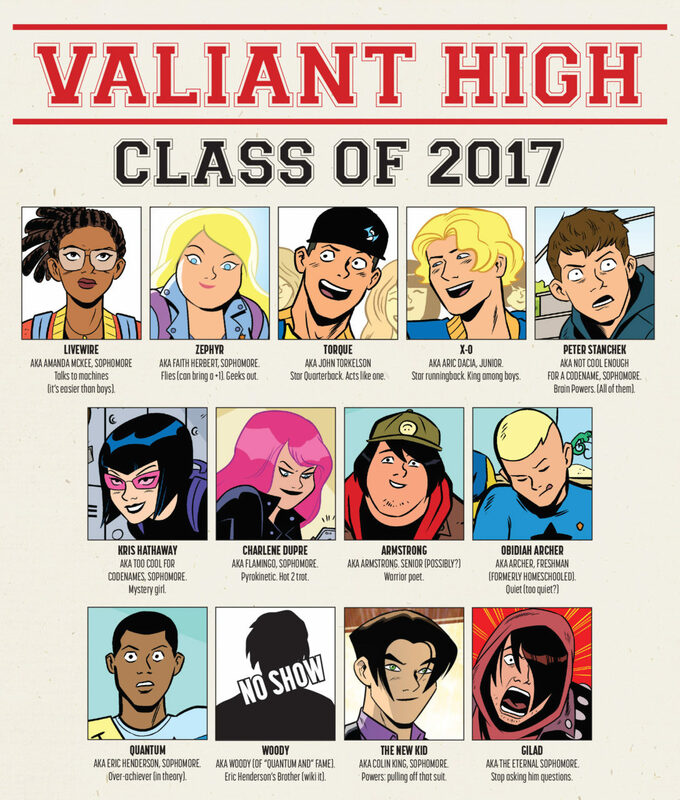 Valiant High is basically a single pill you can pop to get yourself up to speed on the establishment of the Valiant Universe, making dropping into any one of their current, regular titles a lot easier than it might be otherwise. Even without that handy guide aspect, though, Valiant High is a treasure in and of itself. It’s just as much fun read alone as it is read for clues.